I actually hate when I need to talk about things like these, but what can you do, if you’re running a blog on computer security and stuff, and you need to overview the most “popular” computer infections too, eh? 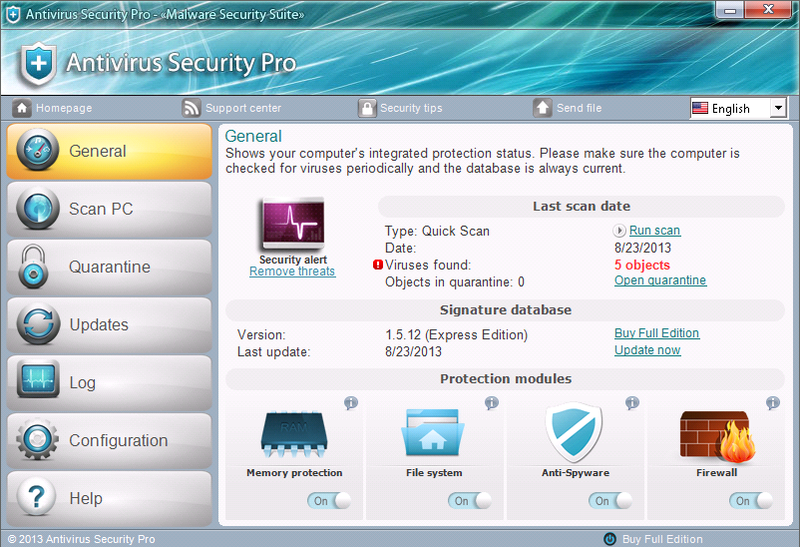 In this case, I suppose I need to say a work or two about Antivirus Security Pro. Once you scroll down to the image that gives you an idea how this infection’s interface looks like, you will be able to tell at once that the program has something to do with Attentive Antivirus I wrote about a month ago. Well, you don’t need to be a genius to get it, because it’s plain obvious – Antivirus Security Pro is a direct close of Attentive Antivirus. If you’re living on the Northern hemisphere that is. I don’t know how about your neighborhood, but mine already feels like fall is here. Chilly in the morning. Leaves getting yellow and all that jazz. Not too good of a news for warm climate lovers. Just as it’s not too good of a news for eBay users, although it has nothing to do with summer leaving and people going back to work. I’ve tried logging into my eBay account the other day, and it was just fine, but according to BBC, quite a few users had problems accessing the service after a scheduled system maintenance.